Komatsu Used Equipment ​gives you the option of still buying the world’s best earthmoving and construction equipment - without the price tag attached to a brand-new machine. We supply a range of used equipment options, all backed by Komatsu service and support, and with the legendary Komatsu reliability, durability and performance. Komatsu sets the standard in providing near new equipment for New Zealand customers when it comes to our Premium Used Equipment range. All our selected Premium Used Equipment goes through a rigorous process including testing, diagnostics, and any necessary repairs before we give it our stamp of approval. 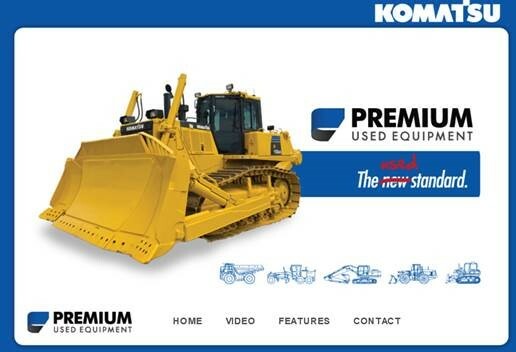 We also offer Komatsu Premium Used, so you can buy quality low-hour Komatsu equipment incorporating premium powertrain warranty, full compliance with New Zealand operating and safety requirements, and ongoing free KOMTRAX remote monitoring. If you are looking for a specific used machine or model, our experienced used equipment team can help you source it from anywhere in the world. Browse the Komatsu New Zealand inventory for sale over at DealsOnWheels.